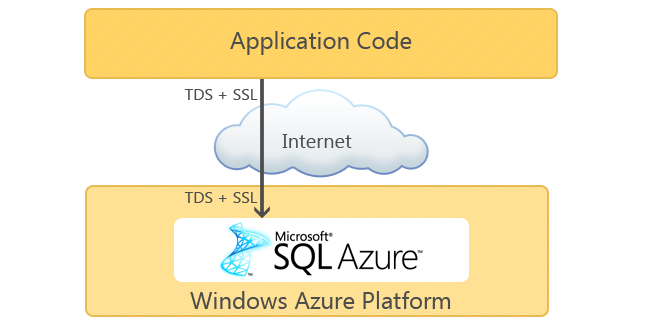 As SQL Azure and cloud-based development become more popular day by day, people decide to use this service. But as you work, you pile up knowledge, skills, habits, and the crucial question about moving to something new is "How much will I have to change?". Below we describe how you can work with SQL Azure using tools from dbForge for SQL Server product line. SQL Azure is a cloud-based relational database service built on SQL Server technologies. This service reduces costs on hardware and software, as it offers data-storage capabilities without necessity of installing, setting, and managing any database. SQL Azure Database will help you provision and deploy relational database solutions to the cloud and will let you take advantage of a distributed data center that provides enterprise-class availability, scalability, and security with the benefits of built-in data protection and self-healing. To learn more about SQL Azure and its costs, view SQL Azure official site and SQL Azure pricing. As we've written already, SQL Azure can help you reduce start-up and operating expenses, as you don't need to buy expensive servers, software and spend resources on maintaining your server afterwards. But as for developing and maintaining databases, everything remains the same: you will have to work with them as with databases on an ordinary server. That's why you'll have to possess a number of tools for performing different database-related tasks. Microsoft did its best to make SQL Azure usage basics similar to those in SQL Server. In its turn, Devart did all possible to provide efficient SQL Azure tools. If you are used to working with SQL Server with the help of dbForge for SQL Server tools , but want to try out SQL Azure service, you don't need to look for any special tools, develop special skills, and spend more money on new software to perform different database-related tasks. Just upgrade your tools to the version with SQL Azure support and start working. If you are new both to SQL Azure and dbForge SQL Azure tools, you can be sure of getting a reliable and easy-to use applications for working with your databases. Performing database development-related tasks on SQL Azure databases is easy with dbForge Studio for SQL Server. Use this SQL Server IDE to speed up day-to-day development and maintenance tasks. dbForge SQL Complete is an add-in for SQL Server Management Studio and Visual Studio that provides powerful autocompletion and code formatting capabilities and supports SQL Azure. With dbForge Schema Compare for SQL Server SQL Azure database schemas can be compared and synchronized effortlessly. If you are moving to SQL Azure from SQL Server, compare and synchronize your old databases on physical SQL Server with the new ones on SQL Azure to have identical database structure. dbForge Data Compare for SQL Server allows comparing and synchronizing data of SQL Azure databases. With this tool, no data will be left behind and lost when moving to the new server from SQL Server. dbForge Query Builder for SQL Server lets you design the most complex queries with several clicks of your mouse. dbForge Data Generator for SQL Server is a convenient and easy-to-use GUI tool for a fast generation of large volumes of SQL Server test table data. dbForge Fusion for SQL Server is a powerful Visual Studio plugin designed to simplify SQL database development and enhance data management capabilities. dbForge SQL Azure Backup can be used to create backup copies of SQL Azure database to local drive, SQL Server, or Azure Blob Storage. Almost all tools from the dbForge for SQL Server product line provide support for SQL Azure, thus allowing users to perform cloud-based development and work with SQL Azure databases as easily as they did with SQL Server ones.